Prepare to do battle with the Silver Samurai in our Deluxe Wolverine Costume! The Wolverine claws look fantastic and the muscle padding in the jumpsuit will give you a six-pack that would make Hugh Jackman jealous! 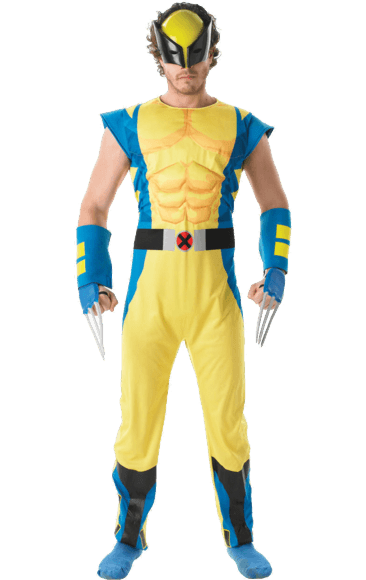 The Deluxe Wolverine Costume includes a blue and yellow jumpsuit with muscle padding and a printed X-Men belt. Also included is a black and yellow mask and a pair of blue and yellow arm covers with attached silver claws.